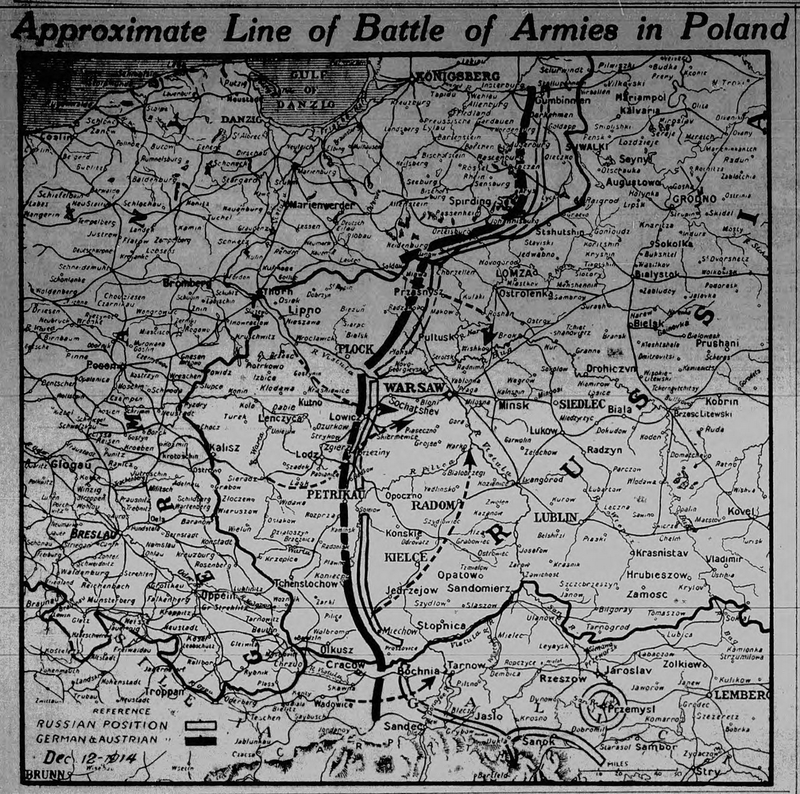 Despite heavy fighting, little change in battle lines on all fronts, all sides claiming minor victories. 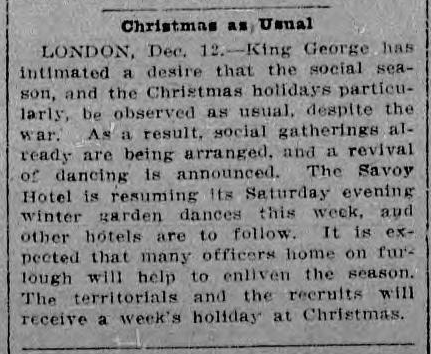 King George asks British to observe holidays as usual despite the war. 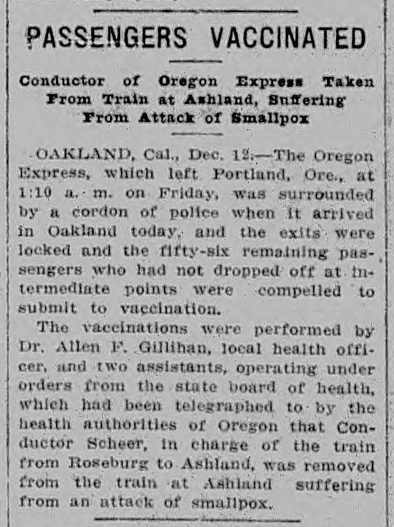 Many men expected home on leave. 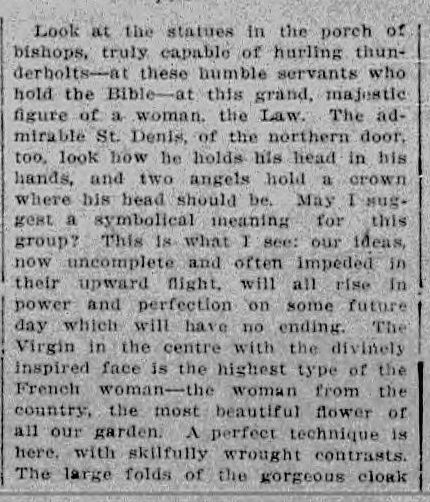 Territorials (such as the Canadians training on Salisbury Plain) and recruits not yet at the front to get a week off. 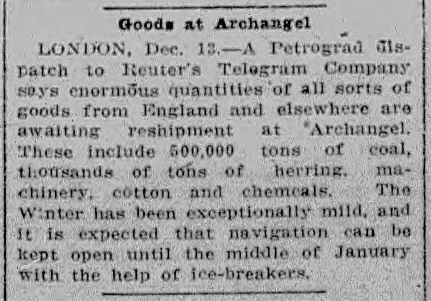 Mild winter conditions at Archangel, Russia, with the help of ice-breakers purchased from Canada, are keeping the port open, allowing goods from England to reach Russia despite German control of the Baltic and the entrance to the Black Sea. 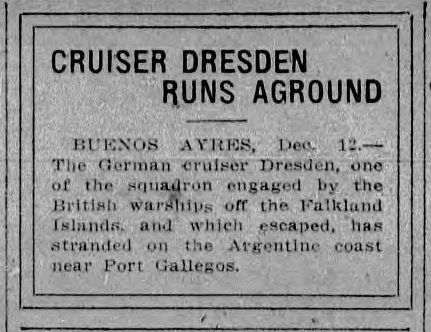 One of the German ships that escaped being sunk in the recent naval battle off the Falkland Islands has run aground off the Argentine coast. 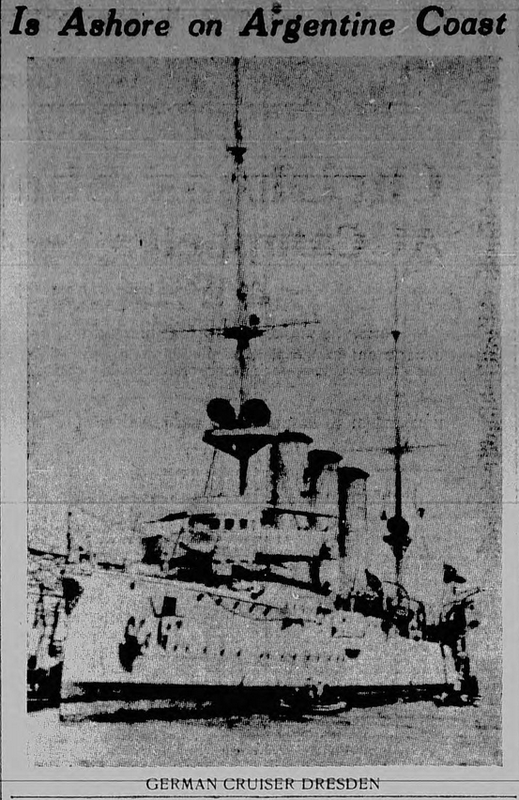 Photo of the cruiser included. 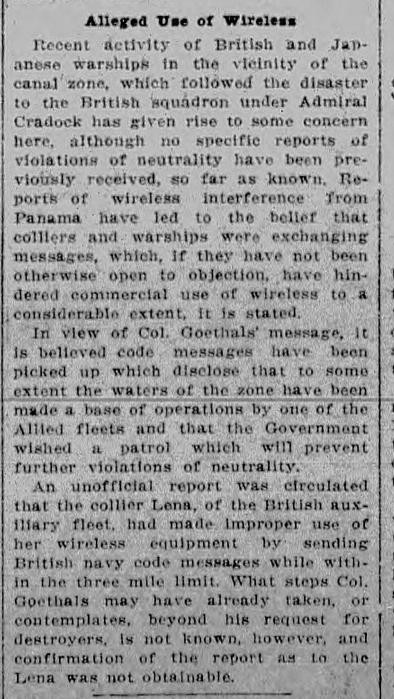 Panama Canal Governor (and chief engineer of its construction) Colonel Goethals has requested that American destroyers be sent to the canal to enforce neutrality of the Canal Zone. 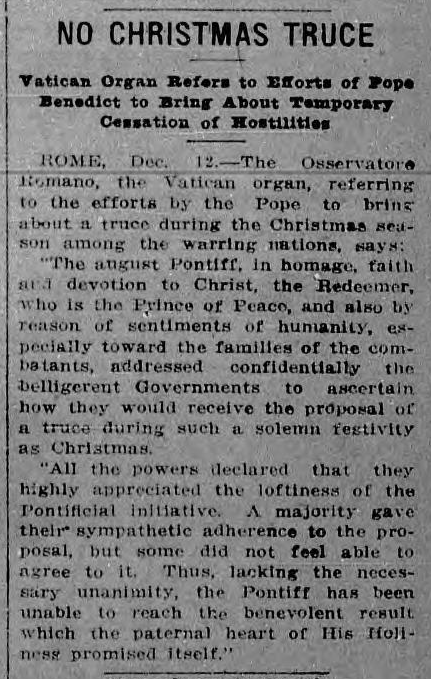 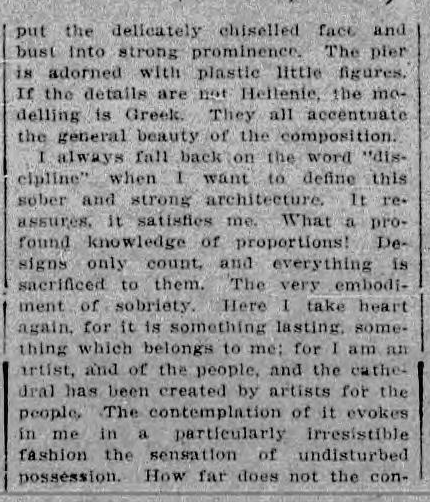 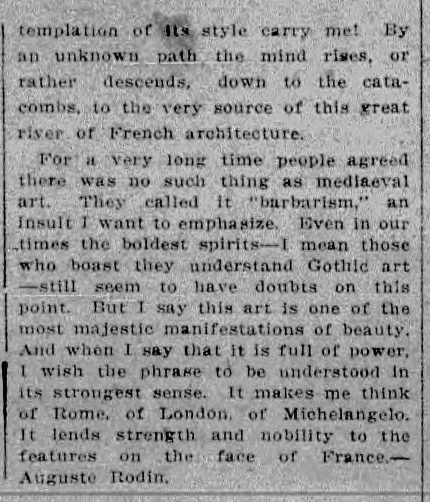 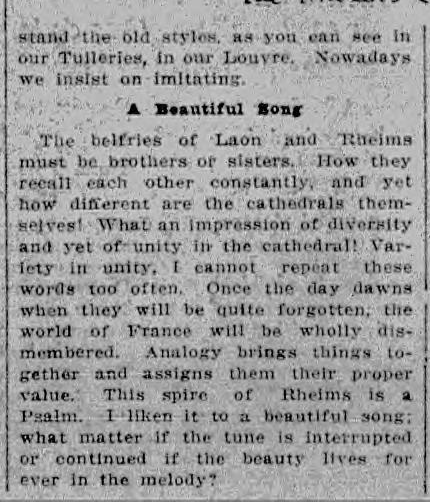 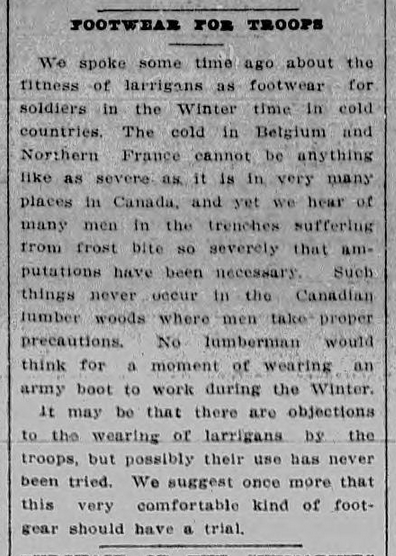 Editorial advocating the use of larrigans [knee-high, oil-tanned boots used by loggers and trappers working in the deep woods] in the trenches. 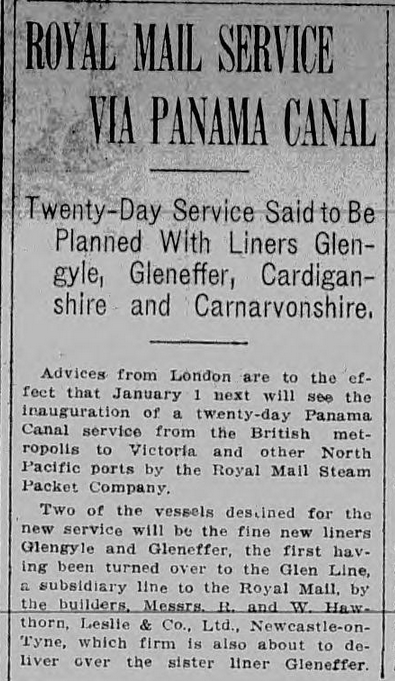 Miracles of modern technology and engineering: the Royal Mail announces that it will be offering 21-day service for mail between Victoria/Vancouver and Britain via the Panama Canal. 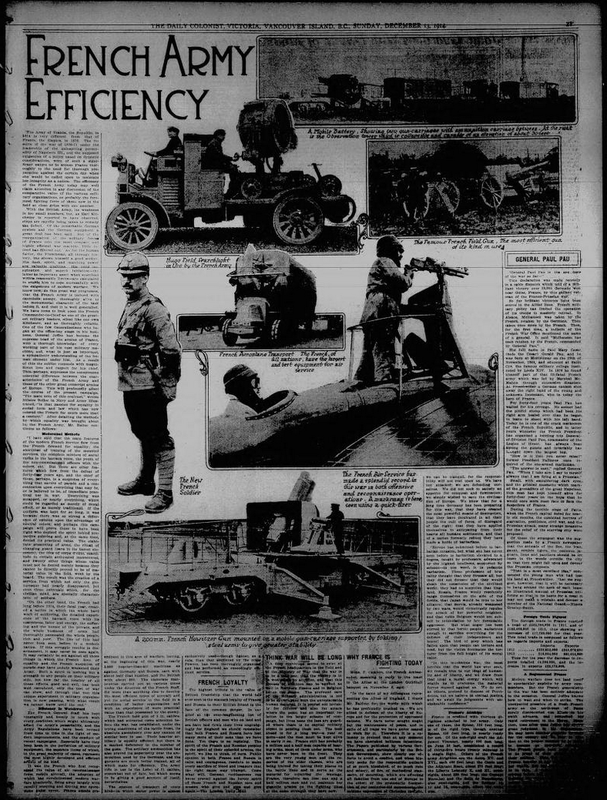 Sunday magazine war-technology page is on the efficiency of the French army. 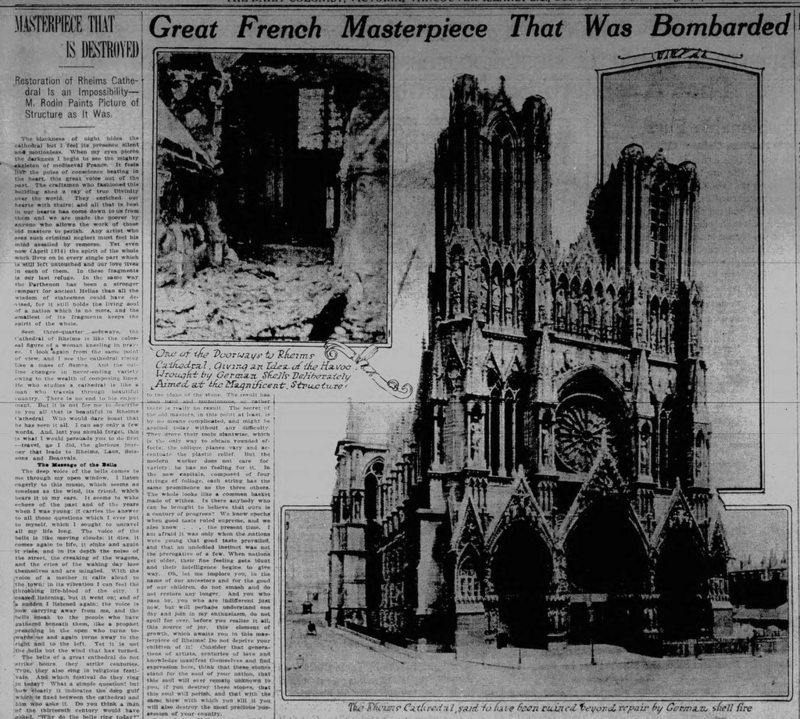 Extensive essay by sculptor Auguste Rodin on the damage to Rheims Cathedral by German shelling early in the war. 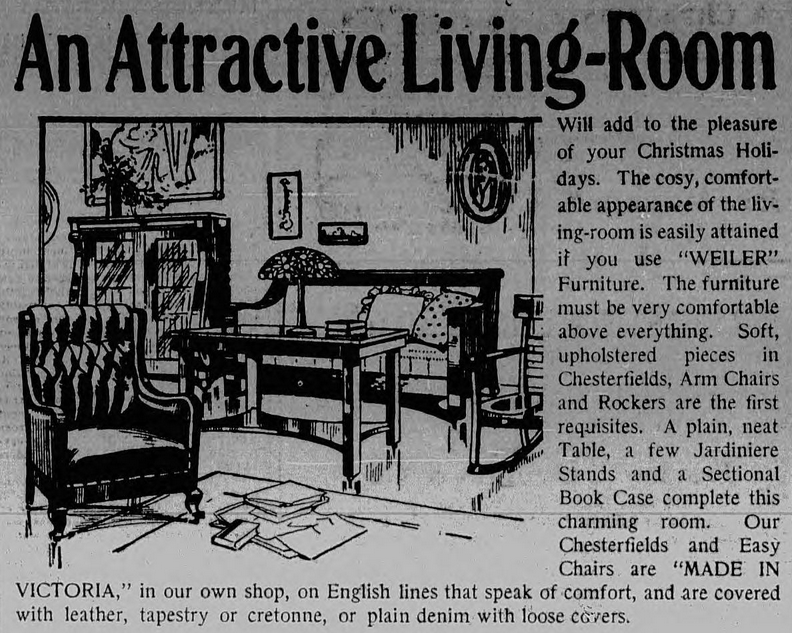 Illustration for a furniture ad of "An Attractive Living-Room" that I would quite like, and also bearing emphatic text noting that the furniture is "MADE IN VICTORIA". 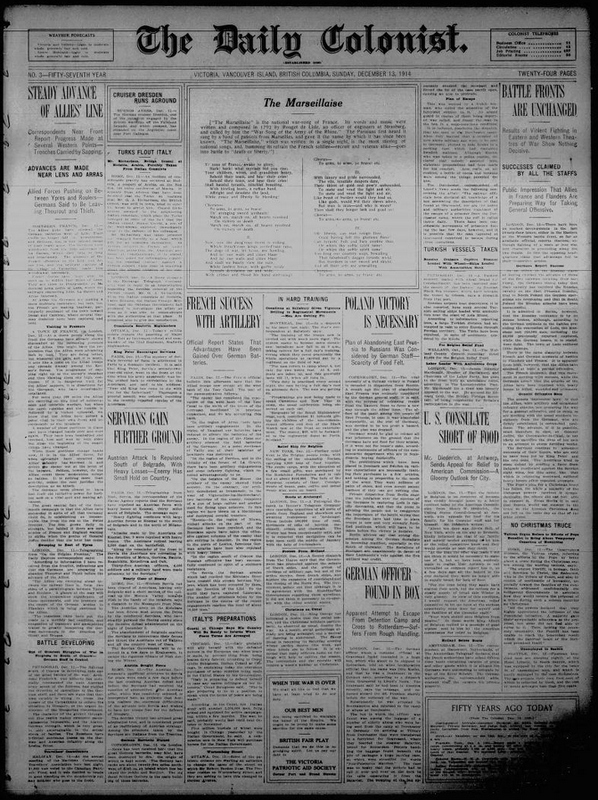 An ad for the Edison Diamond-Disc Photograph assuring that despite the fire the that destroyed the Edison plant in New Jersey, there will be no shortage of these photographs available for Christmas. 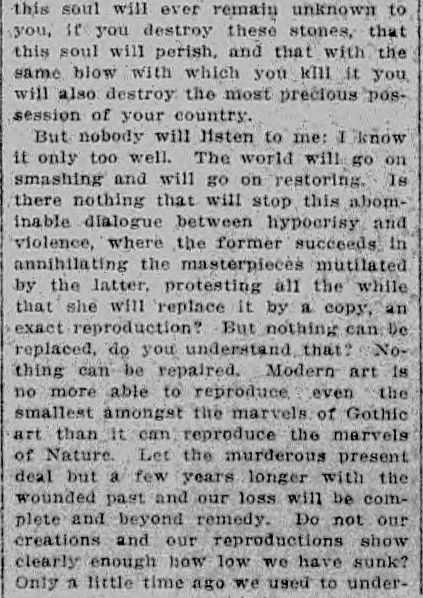 A lovely illustration for a large sale on surplus-stock jewelry. 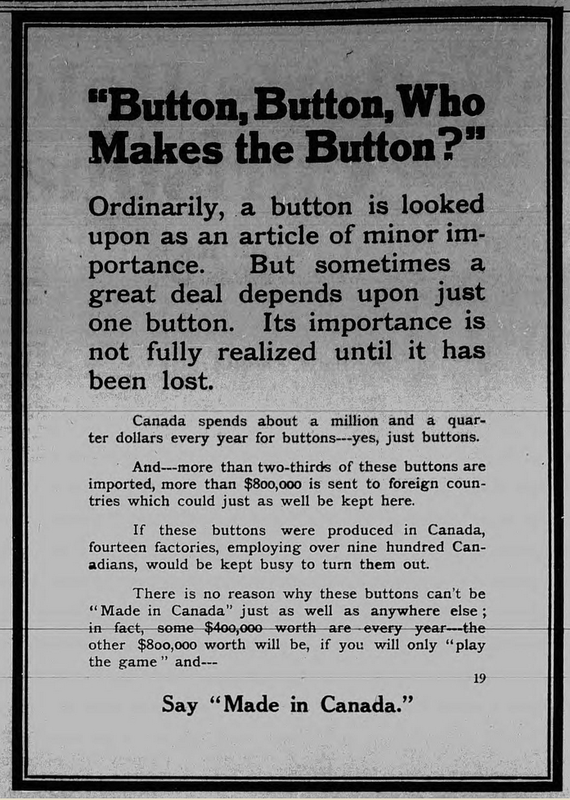 A "Made in Canada" promotional ad that explains that if the 2/3 of buttons bought in Canada that come from foreign manufacturers were instead bought from Canadian manufacturers, it would mean jobs and income for over 900 Canadians.